We’re offering advice from food safety experts for how to keep the family safe when preparing your holiday meals. A new study from Northwestern Medicine found that adults who ate several eggs per week along with high amounts of dietary cholesterol have a significantly higher risk of cardiovascular disease, CBS News reports. The researchers said the current U.S. dietary guidelines may need to be evaluated. The current guidelines don't limit cholesterol or eggs in a diet. "As part of a healthy diet, people need to consume lower amounts of cholesterol. People who consume less cholesterol have a lower risk of heart disease," Norrina Allen, Ph.D., one of the authors of the study and associate professor of preventive medicine at Northwestern said. New research findings call for a possible change in nutrition guidelines, which currently focuses more on the reduction of foods high in saturated fats. The 2015 guidelines recommended less than 300 milligrams of dietary cholesterol per day. The dietary guidelines are reviewed and updated every five years and would be up for a possible shift in 2020, according to the Institute of Food Technologists website. The guideline is intended for Americans over the age of two or older. The study interviewed around 3,000 racially and ethnically diverse adults between 1985 and 2016 and asked about their dietary habits over the last month or year. By the end of the study, 5,400 cardiovascular events and 6,132 deaths happened in the group. A follow-up analysis found that eating 300 milligrams of dietary cholesterol a day was associated with a 17 percent higher risk of cardiovascular disease and 18 percent higher risk of death. Researchers specifically looked at eggs since it is one of the highest sources of cholesterol in the diet, with each egg having around 186 milligrams of dietary cholesterol in the yolk. Eating three to four eggs a week was linked to a six percent higher risk of cardiovascular disease and an eight percent higher risk of death. 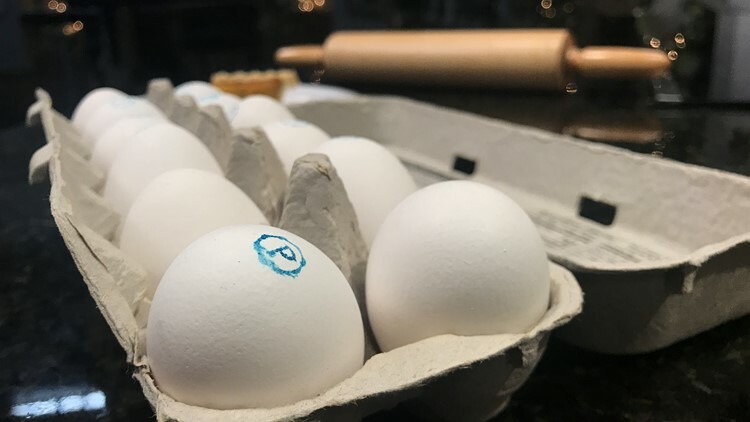 The bottom line in the study, however, is not to completely cut out eggs. Instead, researchers said it's best to eat eggs in moderation.